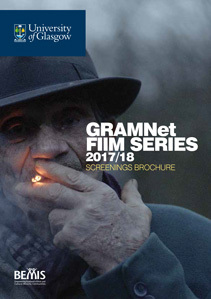 The 2017/2018 Film Series is organised in partnership between GRAMNet and BEMIS Scotland. The films we have selected this year come from all over the world, including Australia, Czech Republic, Palestine, Norway and Scotland with an especially strong component of the series coming from the African continent. As usual the series also showcases a mix of filmic devices and dramatic styles: one, a Scottish short with no dialogue whatsoever; another one in which animation depicts horrors that the camera cannot access; and our closing film in the series an intimate and touching portrayal of a 3-year-old who makes her way from a war-stricken country to Sweden – is filmed one meter from the ground for an immersive filmic experience from the perspective of a child. As ever, the resoundingly strong message throughout the series is that human beings persevere, co-operate, and bring each other hope in places and times where it is sometimes in short supply. Sponsored by GRAMNet, BEMIS Scotland, the Iona Community, with the support of the Equality and Diversity Unit at the University of Glasgow.